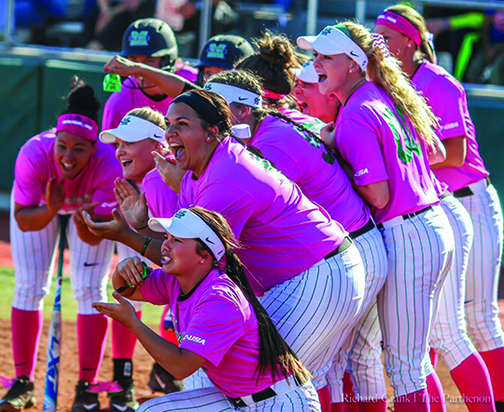 The Marshall University Softball team gathers around home plate celebrating a home run hit by sophomore Abigail Estrada Friday in the bottom of the second inning leading to a 4-2 win over FAU. 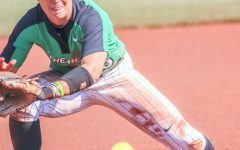 The Marshall University softball team was already turning heads on the national level before this past weekend’s series against Florida Atlantic, as the team had been receiving votes in the national top-25 rankings. 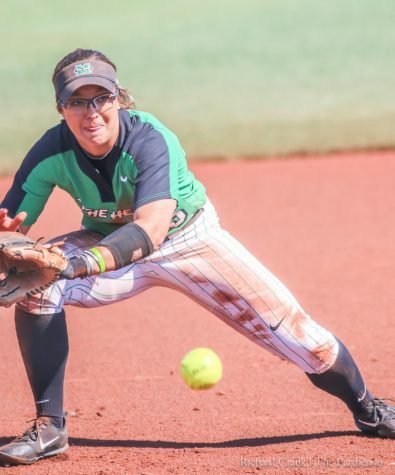 However, after a convincing three-game sweep of the Owls at Dot Hicks Softball Field, more national attention will likely be given to the Thundering Herd. 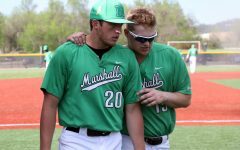 Marshall is now 32-5 on the season and 14-1 in Conference USA play after winning all three games against the defending Conference USA champions Florida Atlantic. The Owls move to 25-15 on the season and 7-5 in C-USA play. 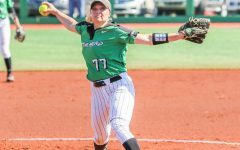 The Herd sits alone in first place at the top of the C-USA standings, as the only team in the conference with 10-plus wins. Senior record-breaking pitcher Jordan Dixon earned two victories and one save in relief in the circle over the weekend. 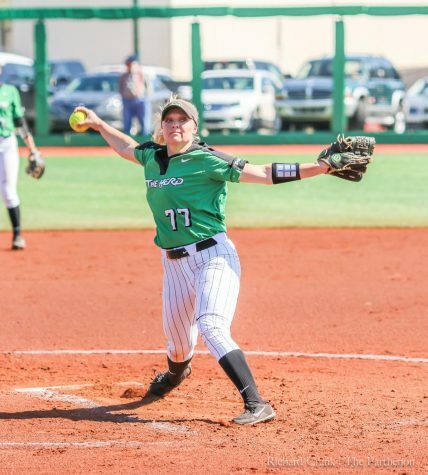 She improved her overall record to 23-4 with a 1.85 earned run average (ERA). 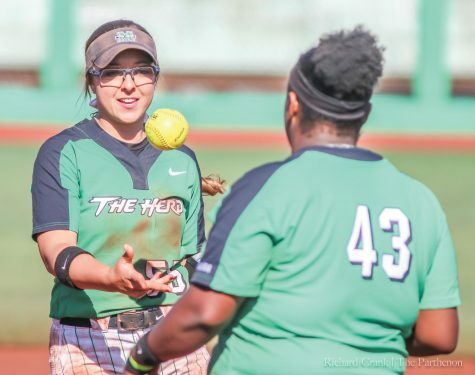 It was a special weekend for her as before the game on Saturday she was honored for her 1,000th career strikeout, a milestone she achieved a week prior at Southern Miss. 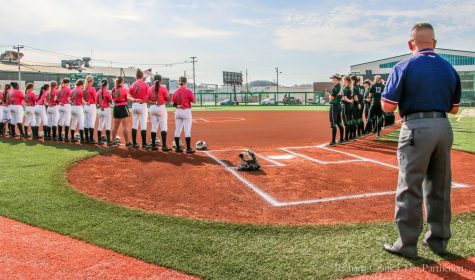 Additionally, her mother Linda threw the ceremonial first pitch for Marshall’s Strikeout for Cancer Day Saturday. Sophomore Abigail Estrada had a big weekend at the plate, recording four hits and two runs batted in (RBI). One of her four hits was a solo home run Saturday. 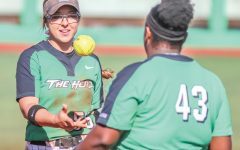 Alongside Estrada’s home run, the Herd also gained a home run apiece from seniors Shaelynn Braxton and Morgan Zerkle and junior Taylor McCord. 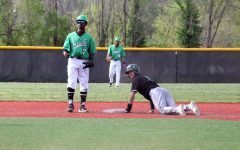 Braxton led the team with three RBI over the three games. 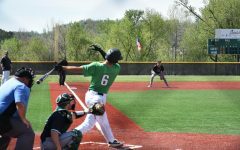 Next up for the Herd is a single-game at the University of Kentucky Tuesday with first pitch set for 6 p.m. 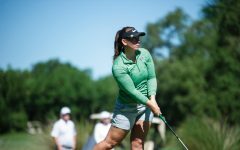 The team will resume Conference USA play this weekend Friday at Florida International.